This year is turning into an amazing year as I found out this week I am going to a Bakery Demonstration at Abergavenny Food Festival with Frances Quinn who won the Great British Bake Off in 2013. I’m so excited to meet her. Back to my bake. 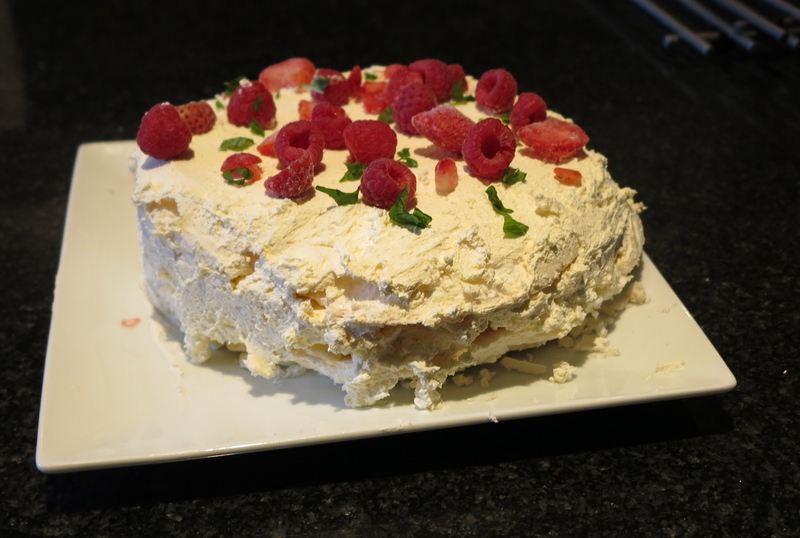 Meringues and ice cream are two of my favourite puddings so when I saw this recipe I got very excited as I was going to be able to have two of my favourite puddings in one go. This pudding is made up by layering meringue, vanilla ice cream, raspberry sorbet and then another layer of meringue and then covered in cream. 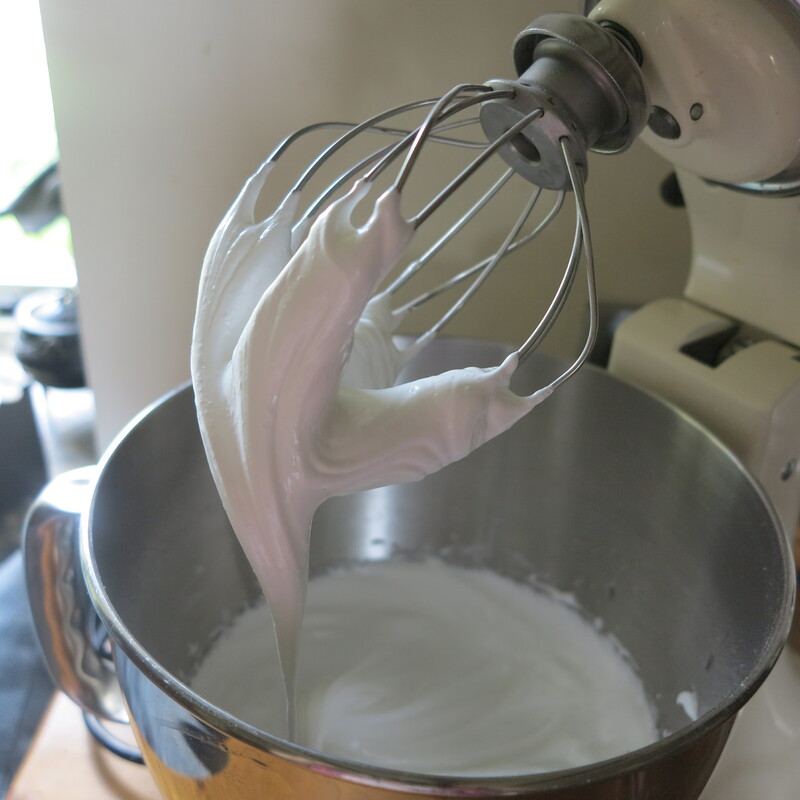 The meringue was made by whisking together egg whites and sugar into stiff peaks and then splitting the mixture into two and spreading each portion into circles on greaseproof paper. The meringue is then baked at a very low temperature for an hour, then the oven is turned off but the meringue is left in the oven until it is needed. 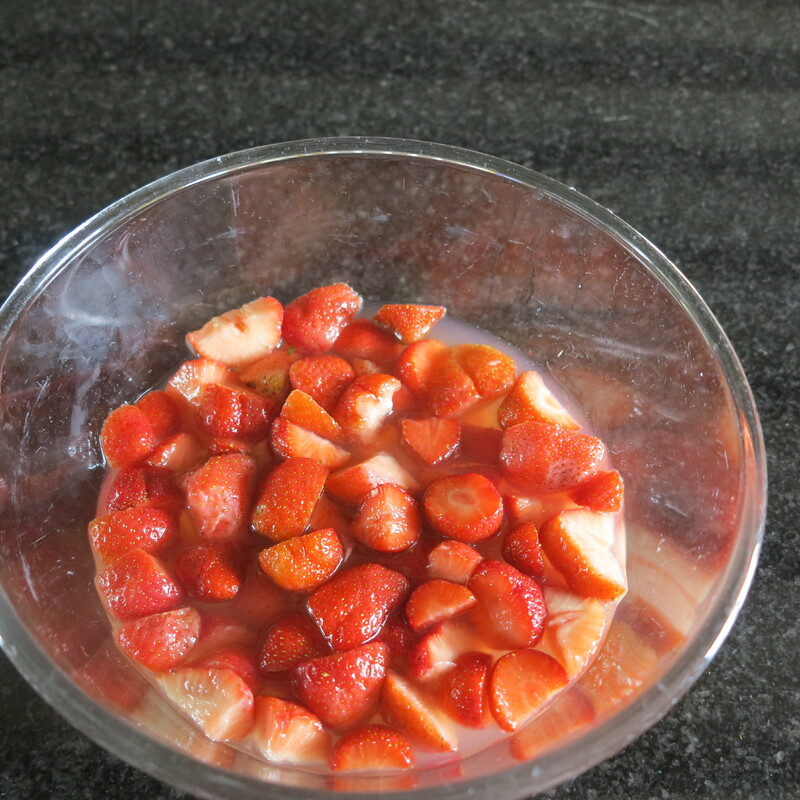 Whilst the meringue was cooking I made the strawberry sorbet by placing chopped strawberries in a bowl with lemon, water and sugar for 15 minutes. The mixture is then put into the liquidiser and pulped to a liquid. The mixture is then sieved to remove all the pips. The sorbet is then put into a freezer container and placed in the freezer. You need to stir the sorbet every couple of hours until it has fully set.